Today we are kicking off our weekly Recipe Box section to help our customers and SMBs on the interwebs to run their business more efficiently. Many of our customers are freelancers and small to medium agencies. Since Social Media is a powerful channel to generate new clients, and using it right brings amazing results. Let’s build a Social Media Dashboard for almost free. Automate Social Media activities = save time! I believe you have your Twitter and Facebook set up already. If not, or they are dusty, it’s high time to update and synchronize branding across all channels to deliver consistent message. Go ahead, I’ll wait here. Make sure you don’t have two or three pages set up on Facebook or any groups that haven’t been update since last century. “Less is more” principle applies perfectly here as well. 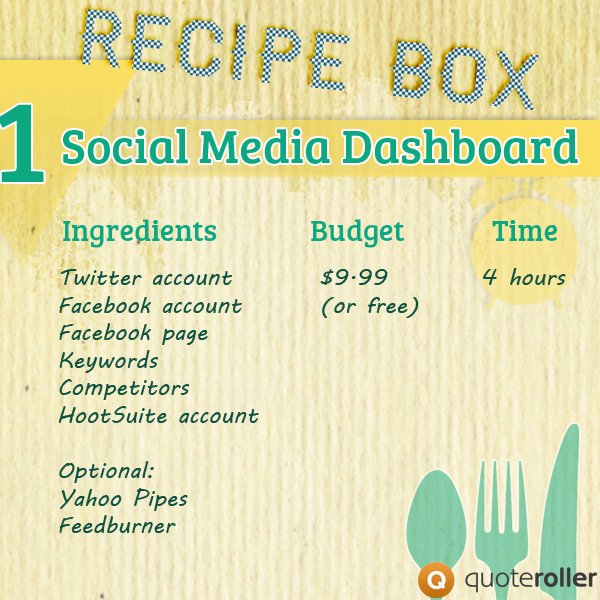 HootSuite is a great tool for building Social Media dashboards. It can update almost any social network, automate posts, provides great analytics, is versatile and flexible to adapt to most needs. HootSuite comes free, but if you wish to work together as a team and have custom Twitter analytics, be prepared to part with $9.99. You can run a free trial for 30 days and see for yourself if you need any advanced features of the Team plan. Let’s gather everything in one place and automate as much as possible. 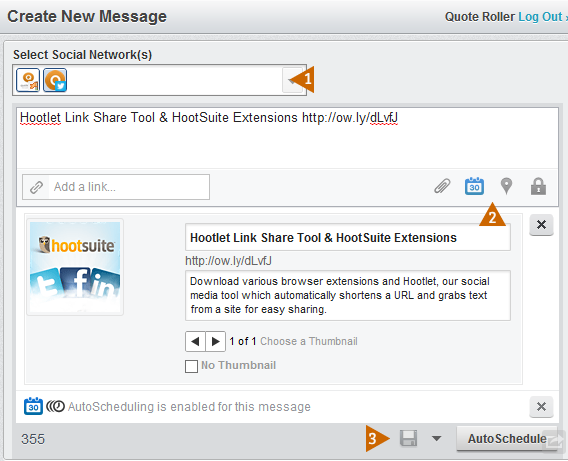 Add all social networks you would like to work with to HootSuite. HootSuite beautifully and deeply integrates into each of the SNs, and makes working with Twitter lists, Facebook pages, or LinkedIn groups a breeze. This is your starting point. Add all basic feeds of your accounts, so you can react to mentions, messages and wall posts. Wall posts for your Facebook page. If you still haven’t made a list of your essential partners – it’s right about time. You can either create a separate Stream for each partner, but if you have more than 4, you’ll have to deal with a nasty horizontal scroll. To avoid this, create a list on Twitter with all partners’ accounts. Why use Yahoo Pipes? 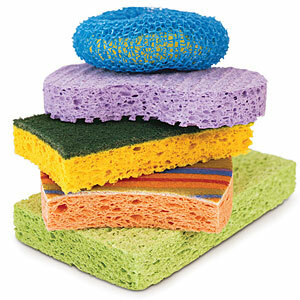 You can apply various filters and get only relevant information regarding your business or interests. 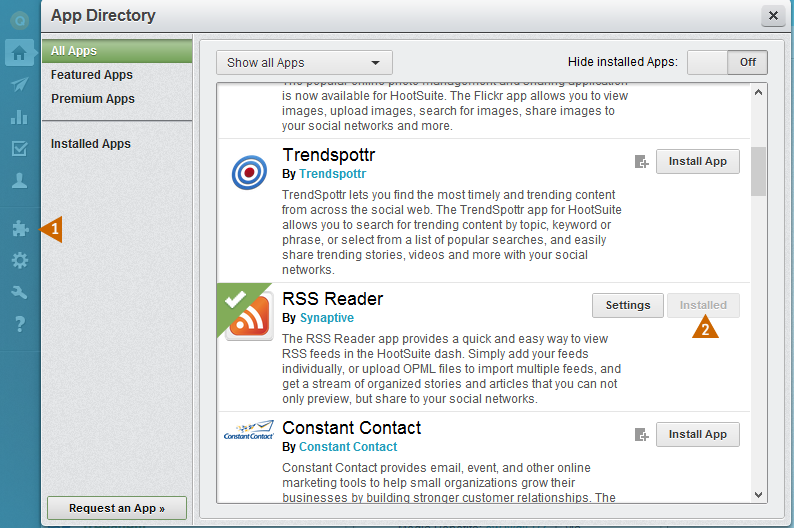 Unfortunately, you can’t filter RSS Reader app Stream in HootSuite. 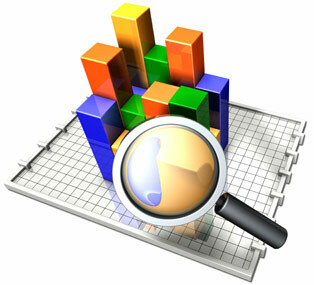 Monitoring keywords generates opportunities and gives you and overall snapshot of the market. Take some time and find keywords that are relevant to your business. Now, employ your search skills. Add as many Streams as necessary. However, make sure you will be able to cope with all of them. Tip: Search for your keywords + ‘?’ and ‘:(‘ to answer questions and assist. By now, you should know what to do. 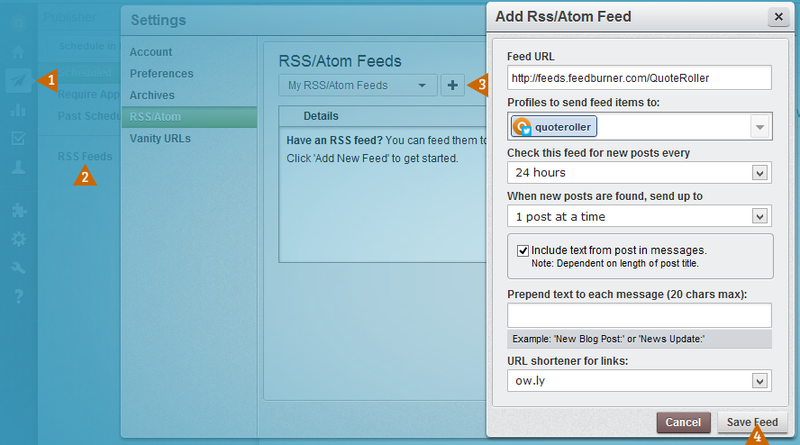 Monitor all mentions of your competitors, their feeds and RSS. Observing these Streams will give you an insight into posts frequency, trending topics, and overall strategy of your competitors. We want to be efficient and automate as much of our everyday tasks as possible. If you haven’t burned your feed with Feedburner, please do. This will allow you to gather stats and do fancy things with your RSS. You’ll have to set up auto publishing for each Social Network. For some reason you can’t add more than one target for posting. The brilliant part of the Hootlet is the ability to select networks you want to post current update to, schedule the post, save to drafts for review, attach pictures for more prominence, and edit Facebook fields on the fly. You are all set to go now. Dig for interesting content and share it with your readers, fans and customers! HootSuite offers great analytics as well, so you can measure your marketing efforts and figure out if it’s working or not. I’m sure you understand what to do with all these numbers. Go to HootSuite Analytics, and select a report you’d like to dive into. For free you get stats for your ow.ly links, Facebook Page stats, and Google Analytics. If on paid plan, you can use your credits to create custom reports. Each number your are tracking will cost a number of credits. Should I update for a Pro plan? There are two benefits of going Pro on HootSuite: (1) Custom reports and (2) Team members. If you are a lone marketer in your company, and there is no one to share the joy of using your new sparkling social media dashboard and you can collect Twitter data by yourself, or use any other service for this part, stay free. However, if you are working in a team with at least one more member, switch to Pro, to easily manage your everyday activities and create custom reports. Comments are all yours! Please let us know how you organize your social media accounts.